In today’s business world, organizations must come to the realization that not implementing a cloud-based solution seriously decreases productivity and efficiency and does not allow the organization to remain competitive in their industry. But in the day-to-day rush of running a business, executives are hard-pressed to find time to learn about and strategize on how to best use cloud-based solutions for streamlining processes. Added to that, there is still a lack of trust in the security of the technology, leaving execs to wonder if their business will be sufficiently protected. Below is a crash course on why the time is now for implementing cloud-based strategies for streamlining operations. Let’s first start by level setting on what exactly cloud-based solutions are. Cloud-based solutions are provided by companies that leverage cloud computing. In simple terms, cloud computing is the use of remote servers, hosted on the Internet, to store, manage, and process data. This is in contrast to large corporate data centers or locally hosted office servers. Cloud computing service providers leverage economies of scale to pool resources and expertise to create secure, on-demand, high-availability computing environments in a “pay-as-go, grow-as-you-need” business model. Simple, right? Now that the fog has been cleared, you might ask how your business would benefit from cloud-based solutions. Almost any business can benefit from cloud-based applications. From simple communication applications like Slack to project management applications like Asana, CRM applications like Salesforce and even document applications like Google Docs, more and more business processes are being taken to the cloud. In fact, chances are your business is already using cloud-based applications. However, the majority of these already-used applications are desktop based. One specific way to enhance your distributed business is by finding solutions that marry mobile technology with cloud-based solutions to drastically increase efficiency and scalability while reducing errors in the data capture phase. In a world of BYOD (bring your own device) organizations, there are more savvy users of cloud and mobile technology largely due to the approaching pervasive use of smartphones and tablets. As such, the time is ripe for onboarding more efficient ways of collecting data that are an extension of end users’ everyday personal habits, yet still within the organization’s defined process. Pen, paper and endless spreadsheets remain the norm for many businesses. The following is just a short list of many of the advantages a cloud-based solution can provide to enhance current processes. Mobility: Using software that utilizes a cloud-based solution means that one has easy access to real-time data collected in the field. With the ability to access and transmit critical data readily, important decisions can be made quickly and easily. Collaboration: It’s no longer necessary to have users in the same location to view, edit and submit files. It is much easier to collaborate and solve problems using real-time data. Scalability: Cloud-based software promotes growth because it’s flexible enough to add resources, storage and increased bandwidth with limited effort. Efficiency: Whether a worker is in the field, on the road or in the office, greater access to information makes for better productivity. Day-to-day administrative tasks can be shortened from weeks to minutes. Reporting: Eliminate the need to wait for a compilation of data hand-entered across multiple spreadsheets or databases. As soon as the data is synced from the device, reporting can be as close as a few clicks away. Compliance: The capability to thoroughly document with photos, data entry, authentication and time stamping is key for compliance in many industries. Take that one step further in submitting forms with exactly the information required to surpass regulations, and you’ve eliminated several steps in traditional compliance processes that often resulted in time consuming data collection and form submissions. 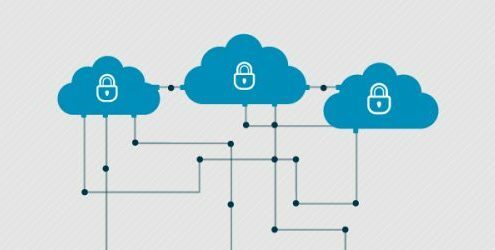 Security: Surprisingly, many businesses still use security as one of the reasons they don’t upgrade to cloud-based solutions. This is often flawed logic as cloud storage is not only more secure than paper documents but it’s also more protected with built-in redundancy. Lastly, many solutions are less prone to faulty data as logic can be applied to ensure accurate data capture at the source. According to a recent Sage.com construction technology survey, 71% of contractors communicate via file sharing websites. The same study revealed that cloud and mobile are redefining the industry with 59% of respondents expecting to use or have used cloud-based software. With data points like these, it’s becoming harder for businesses to ignore the increasing prevalence of cloud computing. A study by Vanson Bourne (“The Business Impact of the Cloud”) has found that companies who utilize the cloud in any capacity have seen a drastic increase in many measurable impacts on business. When a company can increase its efficiency and security, the combination is a win-win.